The people of Egremont have had it with Charter Spectrum and their shenanigans. After the latest issue pushed them too far, the town’s Select Board voted to give the company the boot. Charter Spectrum had proposed connecting 96 percent of Egremont’s households for approximately $1.185 million, the lion’s share to be funded by a Massachusetts Broadband Institute (MBI) last mile grant. The company, however, had not calculated make-ready costs correctly until after making their proposal. After examining the situation in Egremont, Charter Spectrum has almost doubled the estimate for the project to $2.285 million. The difference Charter Spectrum says, is due to the need to replace 150 poles, which they say are not tall enough to accommodate their infrastructure. Charter Spectrum puts the blame on local company Fiber Connect, which has been deploying fiber in Egremont and other Berkshire towns. The national company says that Fiber Connect’s fiber optic cable has filled any room on the poles for Charter Spectrum cables. MBI isn’t willing to fill the $1.1 million gap created by Charter Spectrum and neither is the company. Peter Larkin from MBI attended the October 15th meeting and presented an MBI proposal, in which the town would pay for half of the gap and MBI would cover the remaining $600,000. Locals at the meeting were less than thrilled. With a population of only around 1,200 people, the news from MBI topped off an already long and frustrating process to bring high-quality Internet access to the rural town. Egremont had planned to joined Wired West, the broadband cooperative of western Massachusetts towns, but later opted to work with the national cable provider. Ever since the decision, they’ve experienced delays in negotiations, often because Charter Spectrum has remained elusive about where exactly they plan to deploy and which premises would be left out. Fiber Connect had also proposed building out in Egremont, and a significant portion of the community has expressed support for the local company. MBI, however, has denied grant funds to Fiber Connect, citing it’s five-year record as unproven. 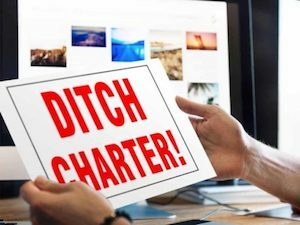 At the October 15th meeting, attendees fed up with Charter Spectrum repeatedly suggested finding a way to work with Fiber Connect. The Berkshire Edge reported on the meeting and posted video of the event. Peter Larkin from MBI presented the situation to attendees. He took much of the frustration that Egremont residents are coping with as they’ve faced multiple setbacks — many due to MBI decisions — as they try to obtain the connectivity they need. Attorney Bill Solomon told the crowd and Larkin that he has “never seen a process more poorly handled than by the MBI and the state here.” Solomon has served as town counsel for nearby Stoneham. At the end of the evening, the Select Board decided that, even though they must once again go through the long procurement process to use MBI funding, they’re willing to be patient rather than work with Charter Spectrum. Select Board Member Mary Brazie took the lead and moved that the town opt out of the Charter Spectrum proposal, go back to the RFP process, send the issue back to their technology committee. Attendees filled the room with applause and the Board passed the motion. Photo of the sign courtesy Egremont Forum.